If you’re the kind of person who follows SEO industry news closely, you may tend to glance over year-end retrospectives. But, there’s a chance you haven’t taken a personalized approach to an SEO year in review. Take a look at the year’s most shared and viewed SEO conference coverage as a growth exercise. Go through 2015’s game-changing SEO conference presentations, and consider what you plan to do to become better in 2016. We don’t publish TIME Magazine, but on the BCI blog, we do publish the SEO industry’s major news stories and marketing practices. A mobile-focused marketing perspective, Google’s MIA Penguin and link removal practices, and a search engine ranking algorithm that learns — these are the topics covered on today’s Virtual Conference SEO track. First, a keynote to set the stage. Duane Forrester is a futurist. A futurist studies predictions and possibilities about the future of life and society. Forrester’s Pubcon Las Vegas keynote in October was one to watch. In it, the Microsoft search insider draws a roadmap for search, technology, and the digital marketing industry. Here are the looming landmarks. Mobile’s the word. The majority of web traffic is mobile, you know. Starbucks is a shining example of a brand that’s adapted to mobile. In the U.S., 11 percent of Starbucks transactions (order, pay, tip, get rewards, locate stores) happen with the company’s mobile app. Expect to see mobile payment becoming the norm in years to come; Apple Pay and other secure, phone-conducted commerce apps are about to blow up. Another growth area of mobile commerce is the rise in affinity programs. Starbucks turned being their customer into a community experience. 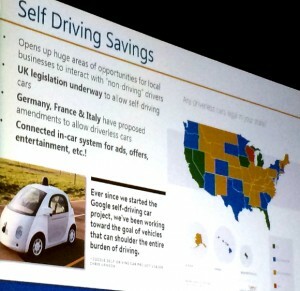 Self-driving cars arise. What would you do if your commute time became productive time? But don’t expect to get that found time for free. Self-driving cars are also vehicles for captive audience advertising. Machine learning is real. Computer processing resources have finally reached the level of efficiency needed to let the computers learn for themselves at large scale. We’re seeing machine learning at work in applications that predict winners of political races and sporting competitions, and software that recognizes faces along with age and gender. Search engines are putting machine learning to work to improve the quality of ranking algorithms, as we learned later this year when Google confirmed the existence of RankBrain; more on that below. Digital butlers, aka agents, at your service. Here is the future of search. Search wants to bridge user intent with the experiences that the world (businesses, organizations, communities, governments) has to offer. A digital agent will do your bidding and proactively find ways to satisfy your tastes and preferences. Duane’s real-world examples are included in the full presentation liveblog. Your data is showing. Everyone reading is leaking data at a startling rate. Data is a commodity that is collected. Duane calls data the new oil. Read our liveblog coverage of Duane Forrester’s Pubcon Keynote on the Future of Search to look closely at each of these revolutionary stops on the search road map. Since this keynote, Duane was announced as the new VP of organic search operations at BCI. If you want to work with the former Bing search industry spokesperson, partner with the digital marketing agency dream team. Next, the 2015 search marketing conference sessions get into the nitty gritty. April 21, 2015, the infamous Mobilegeddon, was the date felt round the SEO world. It was the date that Google announced would officially usher in mobile-friendliness as a ranking signal. 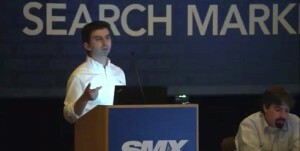 Five months later, at SMX East, Google Webmaster Trends Analyst Gary Illyes shared “3 Things Google Wants You to Know about Making Websites Mobile Friendly.” Here he explains the properties of a web page that Google uses to judge mobile-friendliness. He talks about app indexing and how to get your app to show up in Google SERPs. And he explains the significance of predictive search app Google Now and its key characteristics: voice search and the tap-to-search feature Now on Tap. In this same session, Stoney deGeyter does a deep dive into mobile SEO, from mobile configuration to common mobile website mistakes. Marcus Tober wraps up the session by sharing a study of mobile ranking factors. Read it all in our liveblog coverage of Getting Mobile Friendly to Survive the Next Mobilegeddon. Mobile apps are a big piece of the conversation around mobile SEO and mobile marketing. On this topic, you’ll want to review presentations by Google Webmaster Trends Analyst Mariya Moeva, Emily Grossman and Igal Stolpner. Moeva overviews Google’s documentation on how to get your mobile app (both Android and iOS apps) in the search engine’s index. Grossman builds on Moeva’s recommendations with tips for setting up your domain, app and server for Google indexing. Stolpner provides context for the app indexing conversation with case studies and stats that show how app indexing can benefit a business. Read all these presentations in our liveblog coverage of SMX East’s Beyond the Web: Why App Deep Linking Is the Next Big Thing. Not to be overlooked in a mobile SEO and marketing conversation, Apple is a big player with a different set of optimization rules from Google’s. Grossman is an Apple search and iOS app specialist, who shares her tips for optimizing brand visibility on Apple’s technology stack in the SMX East session How Apple’s Changing Up Search: From Siri to Safari to Spotlight. With 3,000 iPhone sales a minute, be sure not to pass over Apple opportunities. The Google Penguin update that was highly anticipated but never came in 2015 was a major SEO story. The Penguin update expected to pardon reformed link spammers is still ahead, while SEOs continue to do link clean-up while sharing link audit best practices with others. Megan Geiss outlines the link removal process. Sha Menz promotes the penalty recovery power of the Google disavow file. 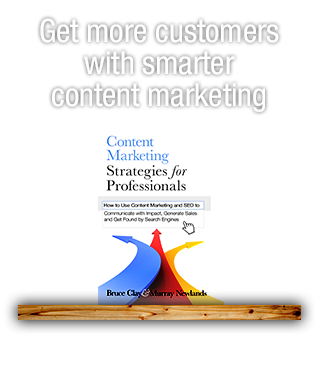 And Eric Enge gives marketers a link building attitude adjustment with content marketing inspiration. Read all the expert’s link building and clean up tips in our liveblog coverage of SMX East’s Link Building, Auditing and Removal. First, you must account for and optimize for engagement ranking factors. 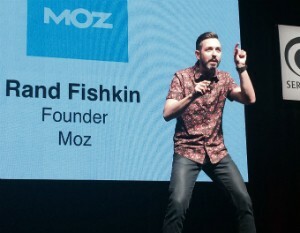 In Rand Fishkin’s Pubcon keynote, we read that there are the traditional SEO optimization factors we have always accounted for: ranking inputs such as keyword targeting, quality and uniqueness, crawl/bot friendliness, snippet optimization, and UX/multi-device optimization. Additionally, machine learning demands that SEOs optimize for searcher outputs such as CTR, long-clicks, content gap fulfillment, amplification and loyalty, and task completion success. 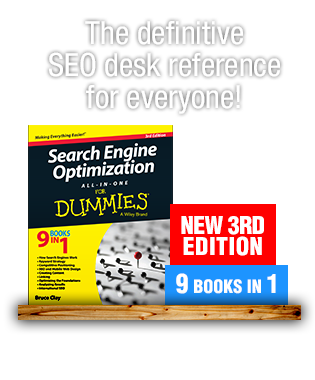 Get all the information in our liveblog coverage of SEO in a Two Algorithm World. Second, keyword research and keyword optimization have evolved. Craig Paddock describes the shift from a keyword focus to a content and topic-oriented research mindset. He shares lots of tools and research starting points. Ash Nallawalla gives content writers a spreadsheet for documenting keyword competitor research from which you can select your organization’s winning phrases. Bruce Clay adapts the traditional SEO keyword research and optimization process to today’s semantic search analysis and voice search query behavior. Read it all in our liveblog post of the Pubcon session Keywords and Keyword Research. Worth mentioning are a couple sessions that don’t fit cleanly into our above story arc but that you might find an insightful read. If you’ve ever wondered how your SEO operation might scale, read about how to grow a successful SEO agency from the Pubcon coverage of Building an SEO/SEM Agency. SMX West 2015: The Conference, The Liveblog Schedule and More! So many new things in 2015 in digital marketing. Specially Mobilegeddon. Social media is also one of the most important factors in 2015. 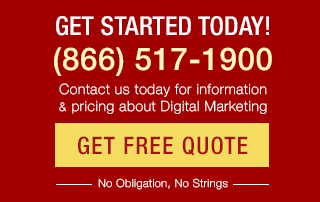 The digital marketing strategy completely changes. Hi Mike! 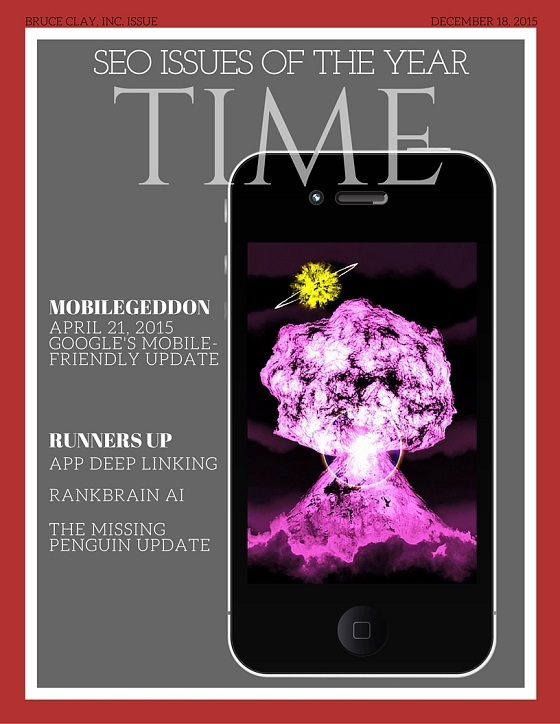 I agree that Mobilegeddon was a hyped event itself. But Mobilegeddon actually ushered in a shift of perspective. Every year for at least the last 6 has been the year of the mobile, but 2015 was ACTUALLY, finally the year of mobile and the mobile-centered UX mindset. We saw Google replace desktop screenshots with mobile screenshots in the Oct. 2015 Search Rating Quality Guidelines. That to me says that mobile is internalized as the first access point for the web, and that’s how marketers need to approach it. So that’s what was meant in choosing Mobilegeddon for the feature story of 2015. I think you’re right about semantic search and machine learning, for sure, though. The latter has been the big news of the last few months and could be very interesting to see how it unfolds next year. Mobilegeddon was the biggest non event of 2015 ….super hyped nothingness! Semantic and machine learning was the biggest shift ( more to come) in 2015 !